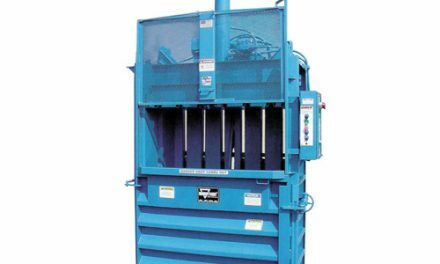 A cardboard baler is designed to make recycling cardboard an easy task. By transforming loose boxes into bales of crushed cardboard, the material then becomes sought after by recyclers who are always looking for quality cardboard bales. This a cheaper form of waste handling, it saves time and space as well as being a much greener solution than using bins and a waste management company to handle loose cardboard. 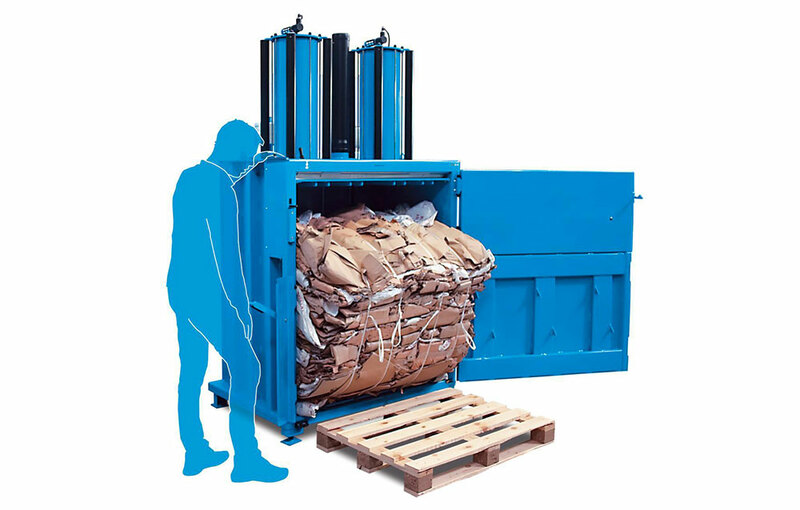 Any business that finds itself spending over £10 a week on cardboard disposal or produces at a minimum, a steady stream of cardboard, can consider themselves in need of a cardboard baler. These balers are flexible as they are manufactured in different sizes with different apertures to suit the requirements of a range of businesses and boxes of all sizes. A cardboard baler works as a replacement to cardboard bins. Bins of any size are not effective for containing cardboard. Whole boxes take up all the space in no time and if flat-packed, this wastes labour hours – it is a no win situation and it gets worse when cost comes in to play. The cost of bin lifts is increasing year-on-year. With the government encouraging more domestic and workplace recycling, the taxes on landfill are rising every April. These higher charges get passed from the waste management business to its customers, so each bin lift becomes more expensive. It does not matter if a bin is only half full or overflowing, the charge is exactly the same. For a half full bin the cost is essentially split between disposing of the cardboard and fresh air, which is clearly a total waste of money. With a cardboard baler, these bins can be removed off site. Baled cardboard can be neatly stacked away in a corner as they await collection from the recycler. No waste management business needs to attend anymore, unless they still collect the general waste bins. The recycler will often collect these valuable bales for free or for a nominal charge per collection. In either case the costs drop dramatically. Removing bins also creates more space on the premises and saves staff time on mundane flat-packing and walking to the waste area each time some boxes need disposing of. Hours of labour can be saved over a long period of time with a cardboard baler. As a baler is flexible and has about the same footprint as a standard 1100 litre bin, it can be placed as close to the source of waste cardboard as possible. This saves walking and it can crush whole boxes, saving the need to flat-pack. 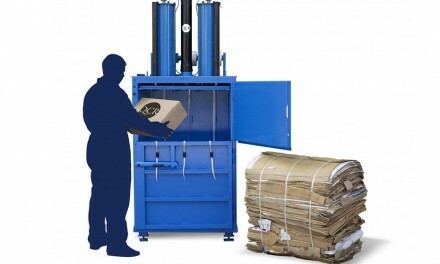 Finally a cardboard baler allows businesses to heavily increase their green credentials. By recycling all cardboard instead of sending it off in a lorry to landfill, this shows a caring attitude towards the environment. During inspections this aspect of health and safety and waste management will receive a tick. 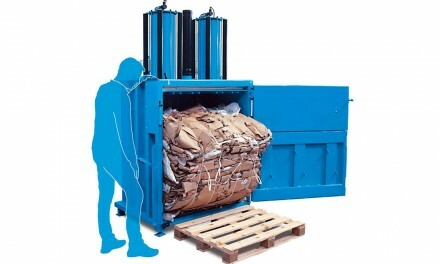 Essentially a cardboard baler works as a money saving tool, with many extra benefits added alongside. 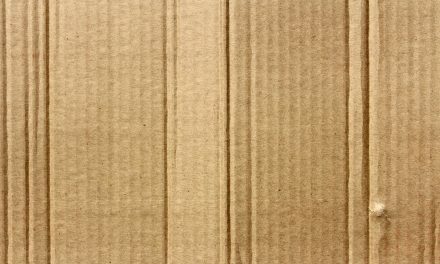 It is simple to use and a positive difference in the way businesses handle waste cardboard will be noticeable. 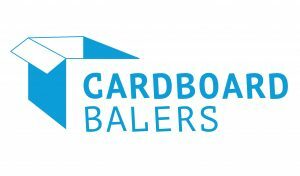 Contact Cardboardbalers.org today to discover how you could contribute to our blog. PreviousHow Can a Cardboard Baler Help With Business Waste?